If you’ve ever wondered what keeps early-stage investors up at night, the answer might surprise you. It’s not the fear of an investment failing - after all, startups are inherently risky, and most investors are comfortable with that scenario. What we do care about is missing out on potential “home run” investments. In venture capital, a “home run” is an investment that returns more than 10x the invested capital. The strategy of early-stage investing is to put money into enough companies to get a few “home runs” that supercharge the entire portfolio’s returns. A portion of the other investments will return modest capital, and the rest will fail. No one can predict which companies will succeed and which ones won’t, but diversification helps to significantly manage risk in an early-stage venture portfolio. 1. How much money should investors allocate to early-stage investments in order to build a diversified portfolio? Portfolio theory says that you can maximize return and minimize risk by building a portfolio of assets whose returns are not correlated with each other. Investments in early-stage companies are a good way to diversify a traditional portfolio and possess a number of unique characteristics: they are illiquid, are very high risk (and very high reward), and usually take a few years (7-10 years) to yield any returns. For example, if a HNW investor has a portfolio of $10M, 20% (or $2M) could be set aside for private equity investments. 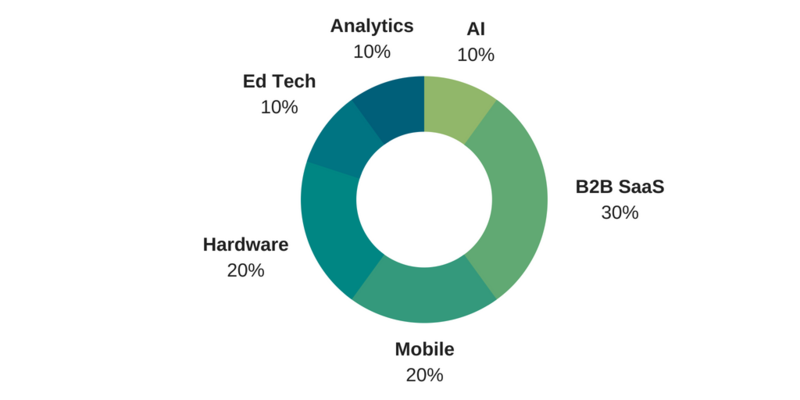 Of this 20%, approximately ¼ (or 5%) would be appropriate for venture capital. This means that $500k could be a reasonable allocation for that investor. 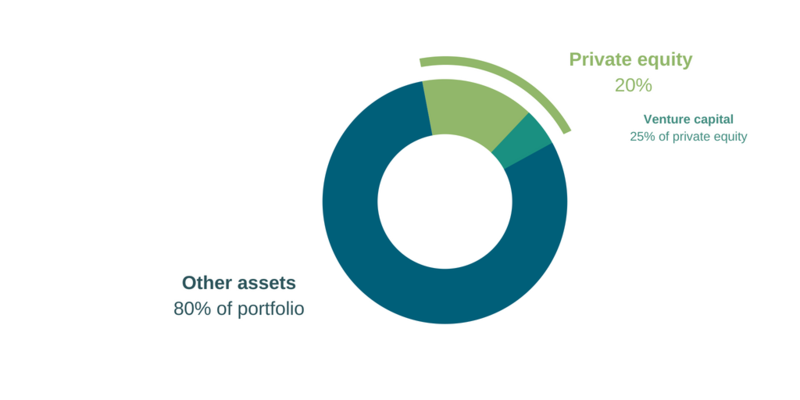 This allocation should plan to cover a range of different early-stage investments to allow for optimal diversification. Robert Wiltbank, PhD concludes that somewhere around a dozen investments is a good starting place for new investors. His findings, based on several studies on angel investment returns, explain how with 6 investments the median return exceeded 1x the initial investment, and at 50 investments the overall return was in the 95th percentile. Most investors invest in a number somewhere on that spectrum. If you decide to invest in venture capital, you should also consider taking diversification one step further – by diversifying within the asset class itself. One way to do this is to invest in a multitude of different industries. Investing in a range of industries reduces risk because the success of each industry is not correlated. If you invest in a few different industries, your investments will all be subject to market and timing risks, but the risks will differ from one another. For example, let’s say you put all your money in preferred shares of a biotech startup. If regulations within the industry change, making it more difficult for the company to do business, your shares may drop significantly in value. You probably would have wished that you also held shares of an artificial intelligence, virtual reality, or marketplace startup, all of which are not experiencing changing regulations at this particular moment. Exposure to multiple VC investments insolates an investor’s portfolio from experiencing significant decline at the hands of one particular company. Diversifying across industries does require some level of understanding of those sectors, which is nearly impossible since “tech’ today spans most industries. Moreso, some industries such as life sciences and MedTech are radically different to most tech companies due to regulatory issues, IP issues, company development paths, and exit dynamics. But don’t let that intimidate you - the beauty of investing in tech startups is that you can diversify into different industries by collaborating with investors that have expertise and complementary skill sets. Investing in companies that are at different stages is optional, but it can be a diversification strategy for investors who want to be exposed to different cash flow timelines and risk equations. Every stage is unique, ranging in investment size, risk profile, timeline, cap table, valuation, and more. Many early companies you invest in will eventually raise more money. 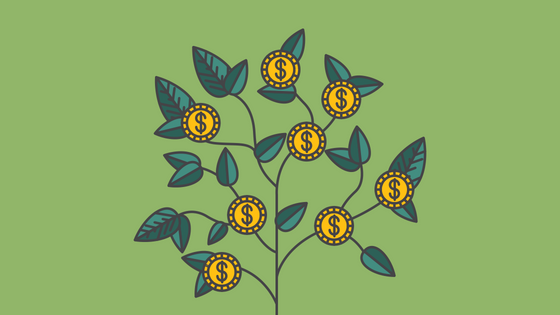 Not all of your investments will merit follow-on investing and the amount of capital required will vary, but you should consider reserving some extra cash to invest your “pro rata” in a company’s next round. This allows you to double-down on your winners and dramatically raises your success ratio. One way to look at it is that if you have 6 investments, you can assume that 2 will likely be very successful, 2 ‘have potential’ and 2 are in trouble – you’re looking at a 33.3% success rate. If you double down on the 2 winners, you now have 8 ‘tranches’ and a 50% success rate. A good rule of thumb is to set aside one dollar in follow-on money for every dollar of first round investment. In our first example where the investor is comfortable with a $500K allocation to venture capital, approximately 50% ($250K) should be set aside for follow-on rounds. The last thing we’ll add on timing, and maybe the most important lesson, is that early-stage investing is a roller coaster ride. Companies will experience ups and downs, and investors should be very comfortable with that reality. It’s easy to fall into the trap of getting emotionally connected to a specific investment and wanting to invest significantly more into it. But being disciplined and committing to diversification is key if your ultimate goal is generating returns. A best practice is to pre-determine your budget, as well as the approximate amount that you will allocate to each investment, and stick to it. Investment amounts into each portfolio company don’t necessarily need to be equal, but it is best to refrain from grossing your investment amount up or down by a significant amount. In some cases, naive diversification (diversification without estimating correlations of individual investments) can work: as long as the number of investments is large enough and an investment in any single company is not overstated. In venture capital much like elsewhere in life, risk and return are correlated. If you want to make higher returns, you must take on higher risk. The most powerful strategy to mitigate that risk is diversification. Brightspark is democratizing venture capital by giving accredited investors access to VC investments. Our focus is Canadian early-stage technology companies that have massive potential.